Can public transportation adapt to the future? 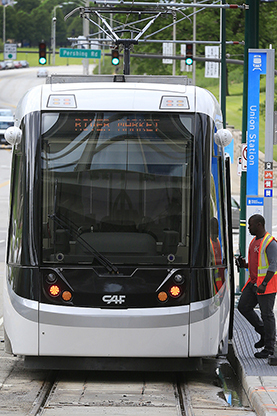 Public transit agencies are struggling to prepare for the future. As they try to adapt to changes in technology, demographics and urban development, the agencies must balance the transportation needs of young, car-shunning urbanites with those of people with low incomes or disabilities — all while finding money for long-overdue safety upgrades. The agencies also are starting to examine the potential of integrating self-driving vehicles into their fleets. Public-transportation advocates say partnerships with Uber and other ride-hailing companies popular with Millennials are a partial solution, and in some regions voters have approved measures to boost transit funding. But transportation agencies remain dependent on federal funding, and how much those agencies might get in a new Donald Trump administration remains unknown. President-elect Trump has vowed to rebuild the nation's infrastructure, including transit, but many congressional Republicans have been cool to mass transit in the past and may resist spending large sums for new transportation projects.